The Isle of Wight has a very strong branch of the Campaign for Real Ale (not surprising really with so many good pubs and breweries here). 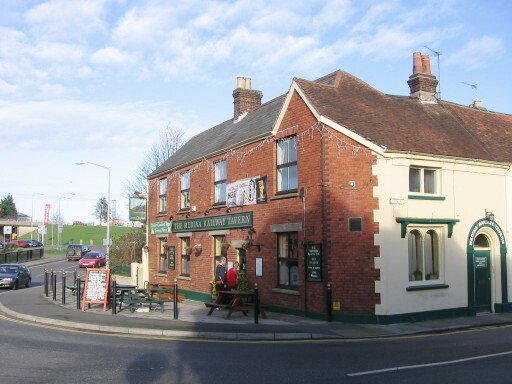 Turn to the Isle of Wight CAMRA Web Page for info on all the Island Pubs. 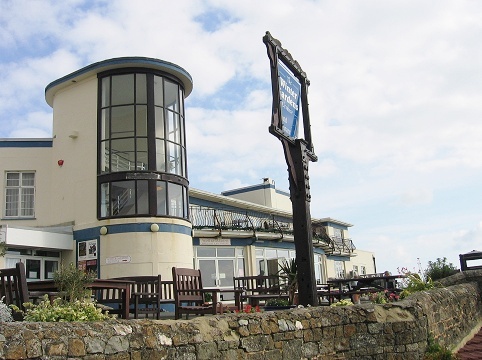 There are now three significant Breweries on the Island, supplying ale mostly to local pubs. Near Ryde is Goddards Brewery. west of Newport is Island Brewery. 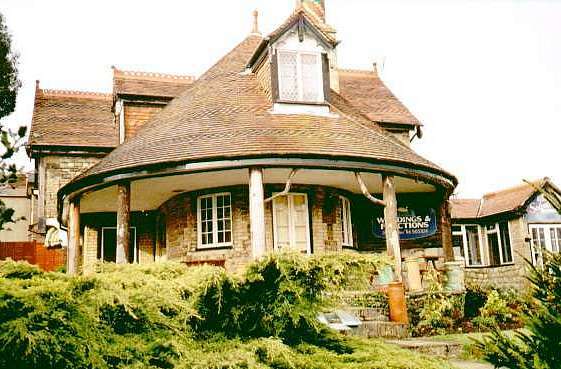 and, in Newchurch, is Yates' Brewery. 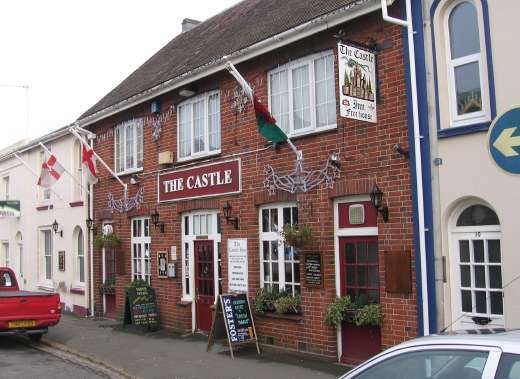 A new addition to our favoured pubs, the Castle in Fitzroy Street got in for some very welcome apres events. 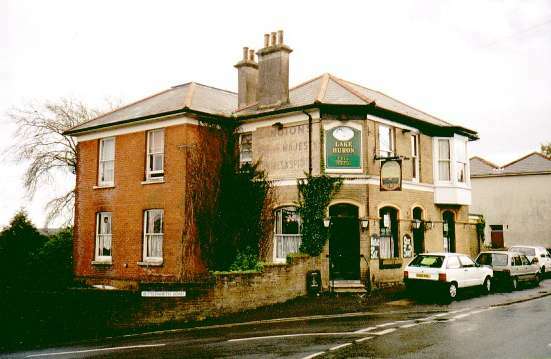 A traditional pub with quizzes, meat raffles etc etc... Always a few guest ales. 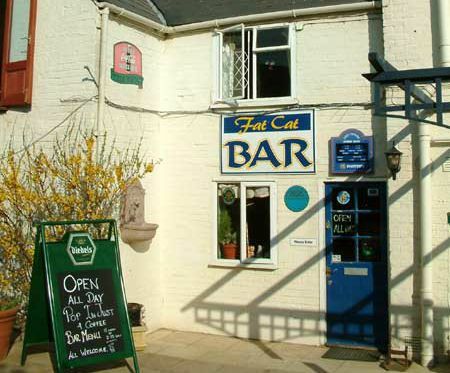 On the landward side of the Bay and sitting in the back end of the Sandpipers Hotel lies The Fat Cat Bar. Not much to look at - just try the beers..... always a few guest ales and very well kept. Site of the Fat Cat beer festival every April - well patronised by the IW Hash, I seem to remember. SHUT! 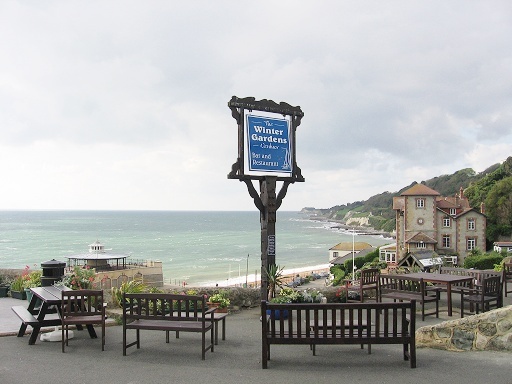 Just at the end of Harry's Bar, Shanklin Old Village. 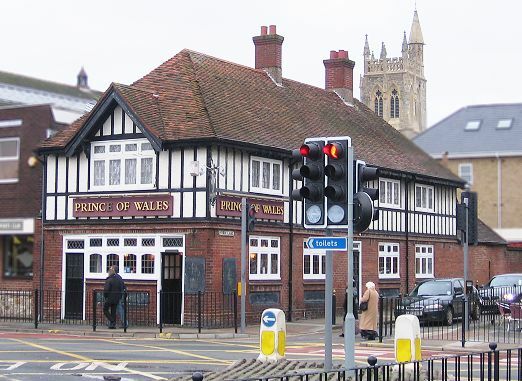 The Prince of Wales (opp Bus Station), Newport. Good, old fashioned pub in the middle of an old market town. Beer good with varied guest ales. A great welcome for the Hash whenever we go back there - always from a Run outside the town. The Waverley Inn commemorates the most famous of the Paddle Steamers that visit the Island in the summer months. 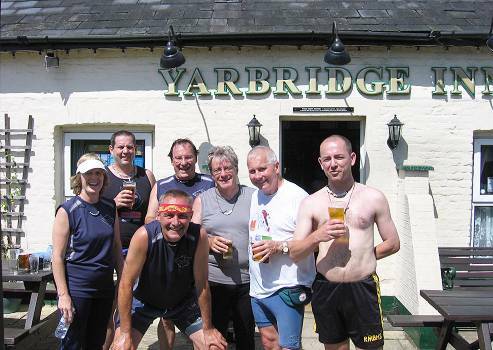 Just east of Carisbrooke church, the are are selection of local runs as well as being in an ideal location when we run 'en campagne'. 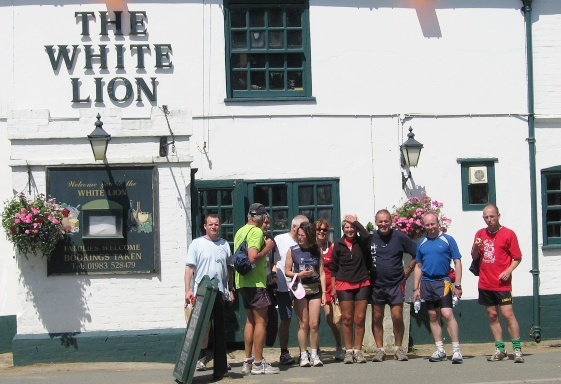 This year the Waverley is run within the group that includes the Sportsman's, Porchfield and the Railway, Newport - which seems to be enough to ensure an adequate supply of good ale for thirsty Hashers. The Winter Gardens, Ventnor - and The View. 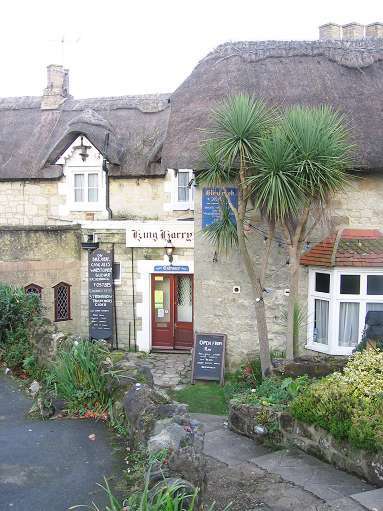 Yarbridge Inn (Anglers), by the lights, South of Brading. The Yarbridge has rightly won CAMRA Pub of the Year three years running - and if you want any evidence then look at the array of taps below! Unfortunately, it was shut for a year until August 2011. Try it. It's still nice!! The Travellers' Joy - Website. Grotty, pre-war and never been touched, the Lake Huron at the South end of Ryde remains one of the very few unspoilt pubs of the Island, loved by locals and visitors alike. A good access point for Hashes going South from Ryde into the countryside. SHUT!!! The Railway Medina was in the same hands for about 20 years. Now moving on within the inevitable business group, it retains the character of the original railwayman's Pub that served the long-gone docks and railway, it remains a fascinating museum of railway memorabilia - but don't look at the walls when you are in the circle. 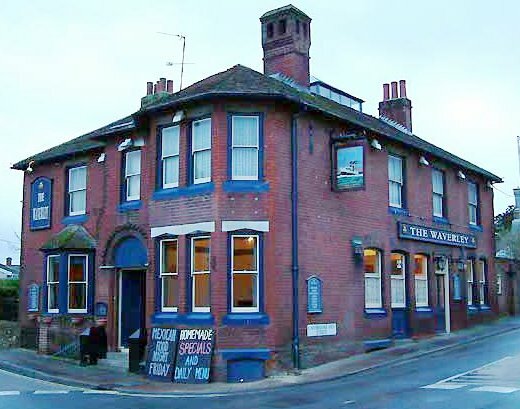 The Swan's Nest - better known by the name of the proprietor - "Salvatore's" - lies in an unlikeley location in the middle of an array of Victorian streets, just up the road from St John's Road Station, Ryde. Beers generally fair to middlin' and mostly Bass, but the welcome is warm, as are the bowls of steaming soup that often welcome back a steaming Hash. SHUTTING SOON!! !